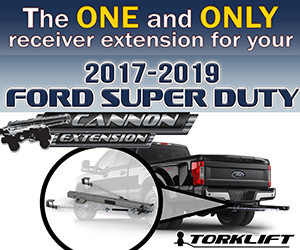 The Torklift Stableload is an outstanding suspension modification for pickup trucks requiring load leveling and sway support. Torklift Stableloads work with your truck’s overload springs, ensuring that they’re engaged from the start instead of engaging only when your leaf springs make contact. The benefit of doing this is that you’ll notice a more level ride and less porpoising on bumps as well as less sway and body roll on turns. The hinge mechanism of the Quick Disconnect Stableloads (pictured here) allows you to quickly disengage them to easily return your truck to its original stock ride (this is a great feature for those who use their truck as a daily driver). Note that Torklift produces two types of Stableloads: permanent fixed mounts for upper overload springs, and the quick disconnect version for lower overload springs. To learn more about Torklift’s outstanding truck camper and truck camper suspension products, click here. If you’re looking for a great suspension mod that addresses both rear sag and sway, then look no further. The Timbren Suspension Enhancement System (SES) addresses both of these issues in a simple yet effective way. The Timbren SES consists of two Aeon rubber spring assemblies that are mounted in place of the jounce bumpers that came with your truck. The regular SES springs sit about an inch above the rear axle unloaded. When your truck is loaded, the SES springs make contact with your axle. As you drive, the rubber springs expand and contract, providing your rig with the proper amount of load support. 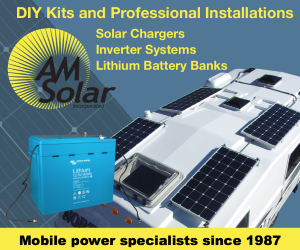 Timbren also makes an SES Severe Service kit especially for slide-in truck campers. Unlike the regular SES kit, the Severe Service kit is designed to rest on your axle in an unloaded state in order to provide maximum load support. The great thing about the Timbren SES is that no adjustments or hoses are needed like air bags. A terrific suspension mod. One of my favorites! Just install it and forget about it. Truck Camper Adventure’s detailed review of the Timbren SES can be found by clicking here.
. The bar weighs 45 pounds, has a diameter of 1-5/16 inches, and is made of heat-treated 4140 chromoly steel. Unfortunately, sway bars aren’t particularly suitable for going off-road. If you do take them off-road one end of the bar will need to be disconnected to allow the axle to freely articulate. For an in-depth review of the Hellwig Big Wig Sway Bar, click here. , offer up to 5,600 pounds of support. Air springs not only correct rear sag, but they can also be adjusted side-to-side for proper leveling support. 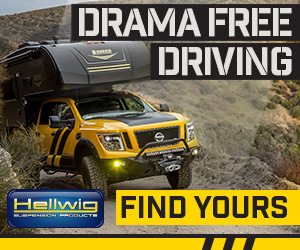 Not only that, but each Hellwig Big Wig is 3 inches larger in diameter and up to 3 inches taller than the standard 2,500-pound air spring like those made by Firestone. This results in a higher air volume and a better load bearing performance than the air bags made by the competition. Hellwig’s air springs also require up to 40 percent less air pressure compared to the standard 2,500-pound air spring. 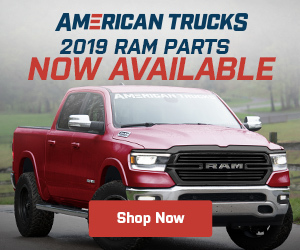 This lower pressure means you’ll enjoy not only a softer spring rate and better ride quality, but also less jarring and wear and tear on your truck and camper when bumps are encountered. If you decide to go this route, we recommend getting a remote-controlled wireless control unit to avoid having to drill holes into the interior of your truck. 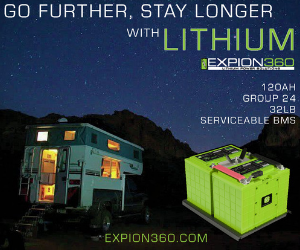 can be purchased with a wide range of capacities ranging 500 to 3,500 pounds. Most hard side truck camper owners gravitate to the LP-35 kit, a beefy four-leaf stack with a 3,500 pound load capacity. The LP-35 is made specifically for three-quarter-ton and one-ton trucks, while the LP-25 is made for half-ton trucks. When ordering be sure to also purchase the appropriate mounting hardware kit to complete the installation. , allows you to change how much damping is applied based upon the weight you are carrying. The pros and cons of each are pretty obvious, it comes down to personal preference and cost. An important note. Shocks are made for both lifted and non-lifted trucks. Ensure you buy the right ones for your truck. If you can remember just one thing about this article, please remember this. Don’t rush out and spend money on any of these suspension modifications until you first see how your truck camper handles on your truck. Otherwise, you may waste a lot of money on hardware that you really don’t need. I see this happen all the time. Based upon the opinion and advice from friends and what they’ve read on the Internet forums, new truck owners will immediately shell out big bucks on new shocks, air bags, and Stableloads before even buying a truck camper or taking a test drive. This is backwards. 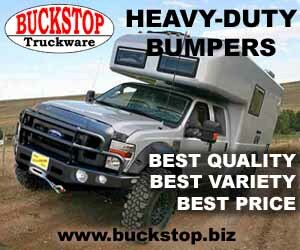 See how your truck handles with your truck camper first before buying anything. If you’re truck is experiencing porpoising, rear sag, or sway with your camper mounted, then you can address each particular issue with the appropriate modification. Moreover, only one modification should be made at a time to determine its true effectiveness. Mello Mike is an Arizona native, author, and the founder of Truck Camper Adventure. 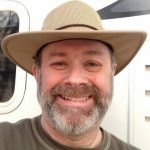 He's been RV'ing since 2002, is a Jeep and truck camper enthusiast, and has restored several Airstream travel trailers. He currently drives a 2013 Ram 3500 4x4 pickup truck with a 2016 Northstar Laredo solar powered truck camper mounted on top. He enjoys college football, hiking, travel, off-roading, photography, and fishing. He retired from the U.S. Navy in 2004 as a CWO3 after 24 years, worked in project management until 2017, and now runs Truck Camper Adventure. He also does some consulting and RV inspections on the side. Mike another great article. Very well written and an easy to understand read. I put Stable Loads on 2016 Ram 3500 Crew Cab 4WD with Lance 1172. They don’t help with sag much, if at all. Otherwise I think they improved things, but I’m far from blown away. Guess I’ll try the Timbrens or helper springs next. Thanks for the article, Clay. Great article Mike. One more option for folks to consider beside the Timbrens are Sumo Springs. In the interest of full disclosure, I considered both and ended up with the Sumo’s. Both products do the same thing in the same way, just a bit different materials in the jounce stops. I suspect both work equally well. I have been pleased with the Sumos but freely admit I have nothing to compare them to. 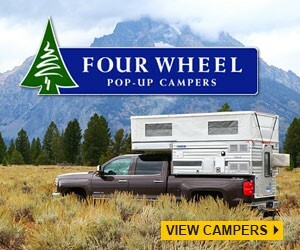 Truck Camper Adventure is a free online magazine offering news, reviews, travel tips, and information of interest to the truck camper community. We cover all types of truck campers here at Truck Camper Adventure. It doesn’t matter if it’s a slide-in or a chassis-mount, a hard-side or a pop-up, if it’s a truck camper and it’s carried on a truck, we cover it. All content is copyright © of Mello Mike and Truck Camper Adventure 2011-2019. All rights reserved. Powered by WordPress running the MH Magazine Wordpress Theme.